Click OK and you’re done. It also turns out that this problem has been fixed in Windows Server 2008 R2, which is why we hadn’t experienced this on our other WDS servers. In order to simplify licensing and activation for Windows clients and servers on you network, you can set up a KMS host to automatically activate these machine with Microsoft, rather than having to install license keys individually on machines. There are two types of license keys with Windows Vista, Windows 7, and Windows Server 2008, which are KMS and MAK. MAK (Multiple Activation Keys) are more like your traditional license keys, which you can use to manually license a product. Once the key is installed, that product stays licensed on that machine indefinitely. If you have multiple machines that you want to license using MAK keys in one go, you can use the Volume Activation Management Tool (VAMT 2.0). The second option is to use KMS (Key Management Service). When using KMS you set up a server on the network to act as a KMS Host. 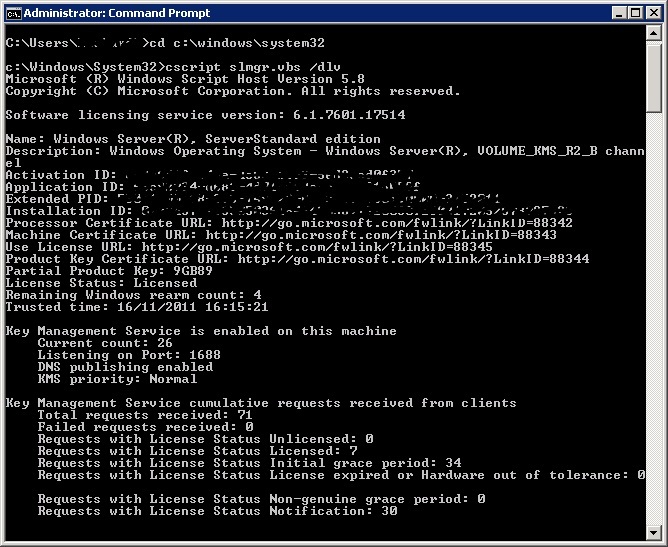 This host collects licensing information information about client computers on the network, and then activates them in bulk with Microsoft’s activation servers, at regular intervals. When you install Windows Vista, Windows 7, or Windows Server 2008 from Volume Licensing media, these machines will be installed as KMS clients by default. This means a fresh installation using volume licensing media will install a KMS license key on the client during the installation. Once the machine is installed and joined to your domain, if a KMS host is available on the network the new machine will report in to the KMS host, and the KMS host will in turn activate the client. There is a caveat to this. You need to have at least 25 KMS clients (for Windows 7 and Vista), or 5 KMS Clients (With Windows Server 2008) on your network in order for the KMS host to activate these machines with Microsoft. So in summary, for small deployments of less than 25 computers you will need to use MAK keys, but for larger deployments, you can take advantage of the simplified activation process, by using a KMS host on your network. So how do we set up a KMS host? Actually the process is pretty simple, especially if you set up a Windows Server 2008 R2 machine as your KMS host. You will need to obtain the ‘Server 2008 R2 Std and Ent Volume:CSVLK (KMS_B)’ KMS license key from the Microsoft Volume Licensing Service Center. To be sure that I was using the correct key, I verified it using the product key verify function using VAMT 2.0. The good thing about using this key, and indeed setting up your KMS host on a Server 2008 R2 computer is the fact that it will license and activate Windows Vista, Windows 7, Windows Server 2008 and Windows Server 2008 R2 KMS clients! Once you have the key handy you need to run up a command prompt using elevated privileges on the host that you want to set up as the KMS host. You can use the output from this command to see the number of licensing requests that have been received by the KMS host. In the example above a single request has been received, and the current count is 1. As mentioned earlier in order for the KMS host to activate Windows 7 clients, the count must reach 25 i.e. 25 computers on the network must all have sent license requests to the KMS host. The command slmgr.vbs /dlv is an easy way to keep track of the progress of the current count in the early stages of your KMS deployment. 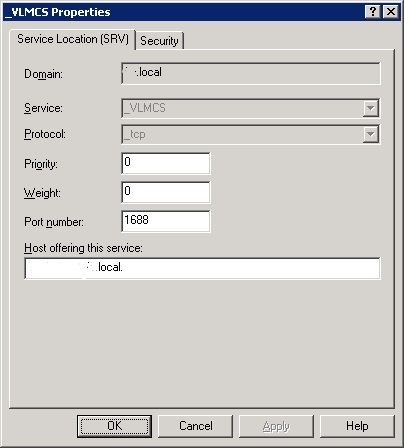 If you want to obtain this infomation from a remote client machine you can use the slmgr.vbs KMS_HOST_NAME /dlv, where the KMS_HOST_NAME is the name of your KMS host. Finally, check that tcp port 1688 is enabled incoming on your firewall in the domain profile on the KMS host to allow clients to make licensing requests. After that your KMS host should happily pick up licensing requests for Windows Vista, 7, and Server 2008. In the early stages of our deployment we had set up a few clients using MAK licensing keys, until such time as we had 25 computers available on the network. Once we had enough Windows 7 machines available we converted them back to KMS clients, using the default KMS client keys listed here, and the VAMT 2.0 to install these keys on the client computers. Next up, setting up the Office 2010 KMS host. In our environment it made sense to use the same server that was already acting as our Windows KMS host. Firstly we downloaded the Microsoft Office 2010 KMS Host License Pack. 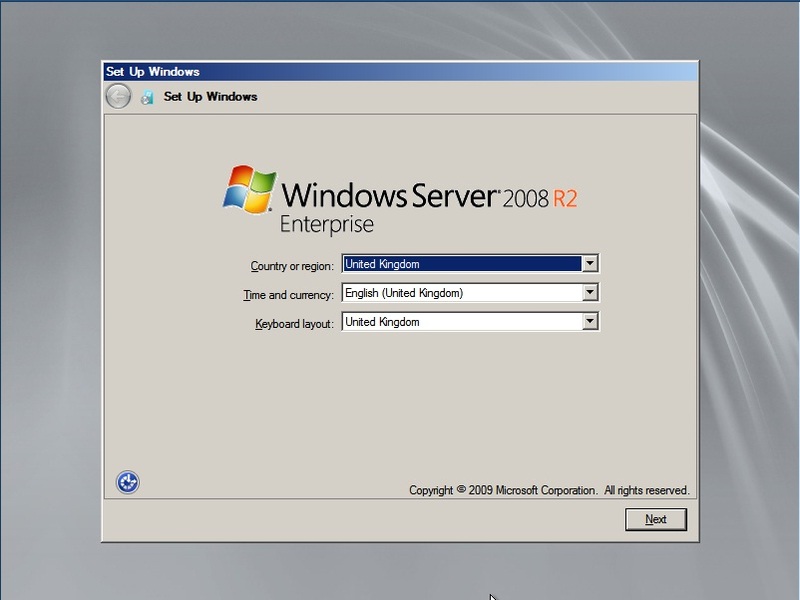 On Windows server 2003 other steps are required to install this (outlined in the system requirements), but on Windows Server 2008 R2, just run the downloaded KeyManagementServiceHost.exe file. The long code shown in the command is the Office 2010 activation ID. Running this command will give you a similar summary to the slmgr.vbs /dlv command for Windows Clients. 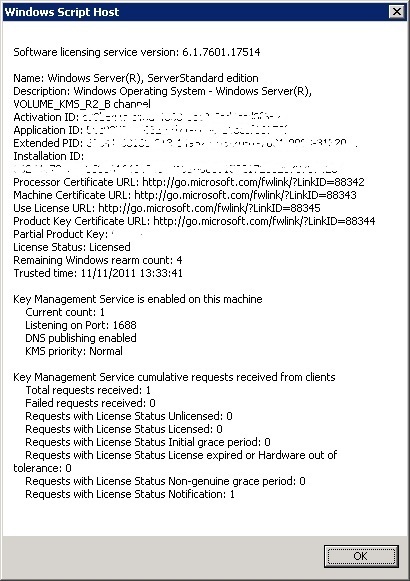 It will show you the current count for Office 2010 KMS client installations as well as the number of license requests. 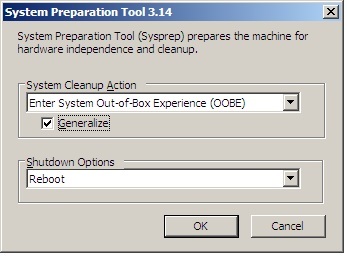 With Office 2010 the current count must reach 5 before the KMS host will activate your Office 2010 installations i.e. 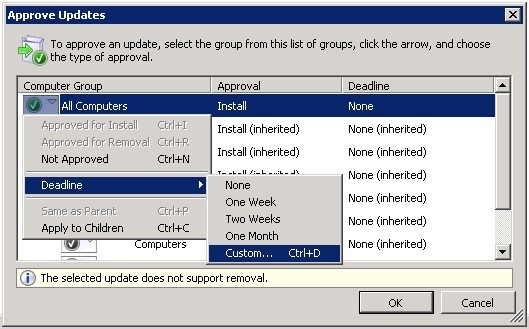 there must be at least 5 computers running Office 2010 with a KMS client product key installed before the KMS host will activate these clients. More information on Deploying Office 2010 using KMS can be found here. As you can see below, the output will display in the command window rather than a pop up dialog box. I mention this for completeness as I have seen slmgr.vbs run both ways. It doesn’t really matter which you choose. 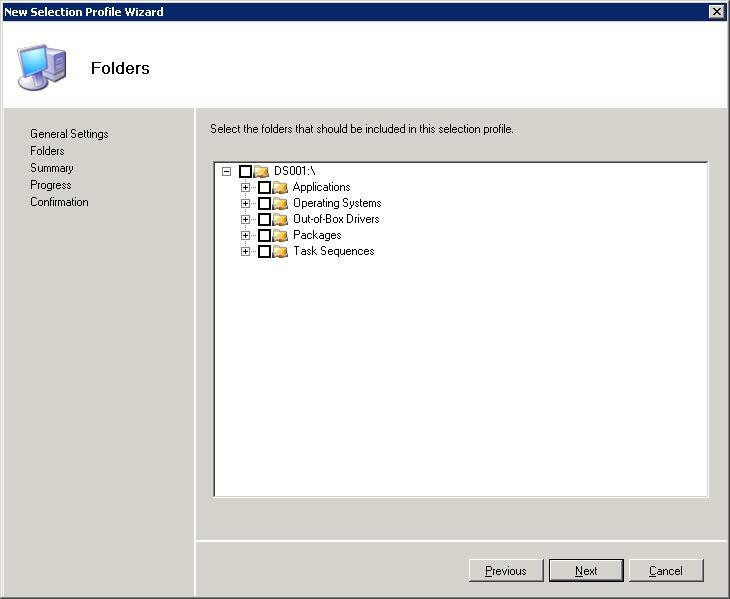 During our recent Windows 7 and Office 2010 rollout we decided to set up MDT 2010 on each of our branch Windows Server 2008 servers to automate the client upgrades. 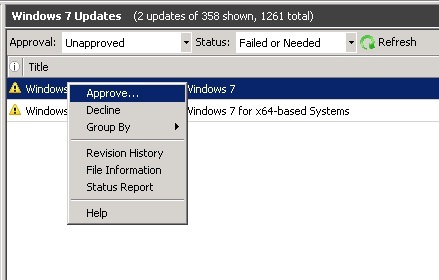 We had previously been using MDT 2010 at our central site to install and commision new computers, or rebuild existing computers, but to get Windows 7 rolled out quickly we needed this functionality in each of our branch offices. Having finalised our new task sequence for Windows 7 SP1, we started looking at options for copying the deployment share from our central MDT server to the branch offices and came up with several methods. In the first instance it is simple enough to take a copy of the deployment share to a USB drive, and then copy this on to the branch server and add then add it to the Deployment Workbench on the branch server. The only significant change you need to make using this method is to edit the DeployRoot setting in the bootstrap.ini file found in the ‘Control’ folder of your deployment share. This setting should be edited to reflect the UNC path to the distribution share on the new server. The only other thing you need to be careful of is any hard coded references to the UNC path of the old server deployment share that you may have in any custom scripts that you are using to install applications or make customisations. Finally, update the deployment share by right clicking on it in the Deployment Workbench and choose ‘Update Deployment Share’. Whilst the method above is a quick and dirty fix to get your existing deploment share up and running on a new server, it has several shortcomings. One of the main problems is that when you make changes to the deployment share on your central MDT server, the changes will not be updated on your branch server. You would need to manually copy your deployment share, or some of its subfolders to your branch server in order to update it. 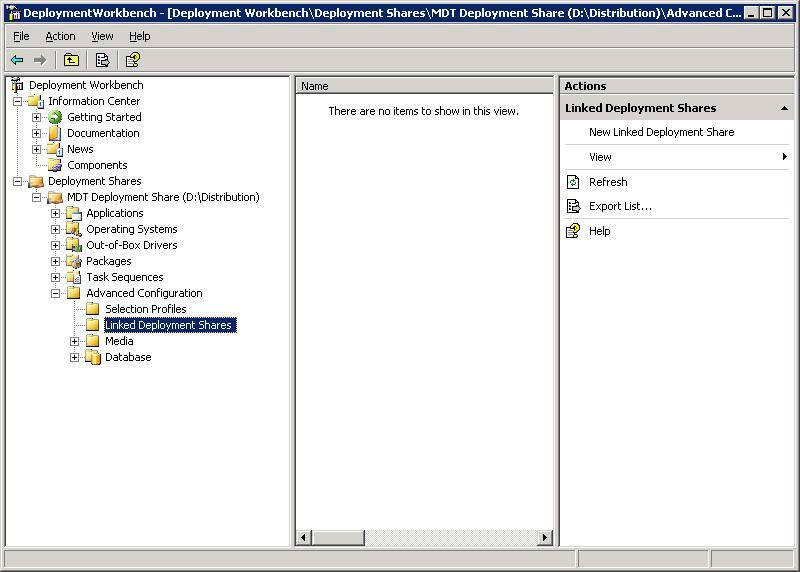 New in MDT 2010 is the ability to create Linked Deployment Shares. This allows you to replicate your central deployment share or certain selected parts of your deployment share to other servers. 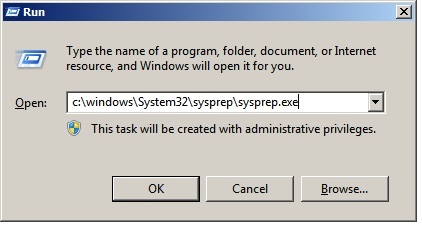 You could for example set up a link which replicates the drivers folder from your central MDT server to your branch server. To set up a link to your branch server for replication you need to look in ‘Advanced Configuration’, under your deployment share in Deployment Workbench. Once you have your selection profile set up, or alternatively if the predefined selection profiles meet your needs, you can proceed with creating your linked deployment share. To create a new link right click on the ‘Linked Deployment Share’ container, and choose ‘New Linked Deployment Share’. As you can see on the screen shown above, you need to specify the UNC path to the target deployment share, choose a selection profile, and also decide whether you want to merge, or replace content with the target deployment share on your branch server. Click next through the wizard to finish creating the Link. Once your link is created you can replicate the chosen content to your branch server by right clicking the newly created link, and choosing ‘Replicate Now’. Replicating in this way is a manual process. If you you want to replicate automatically to a schedule, you can write a powershell script to replicate the content over the link, and set it up as a scheduled task. You can see that it is possible to set up multiple links to branch servers to replicate content, but depending on how many branch servers you have, this will involve setting up lots of links, and scheduled tasks if you want to replicate automatically. Another disadvantage of setting up linked deployment shares in this way, is that the performance over slow WAN links is not great. Linked Deployment Shares use a mix of SMB and robocopy to sync content which can be slow if bandwidth between sites is limited, especially on the initial copy. The final method we looked at was using DFS Replication to replicate the deployment share to branch offices. This seemed like a good idea as content would easily be kept in sync, and replication could be throttled back during business hours. Another advantage over linked deployment shares was the fact that DFS Replication is able to compress the traffic as it passes over the slow links, minimising the amount of bandwidth required to update the branch copies of the deployment share. 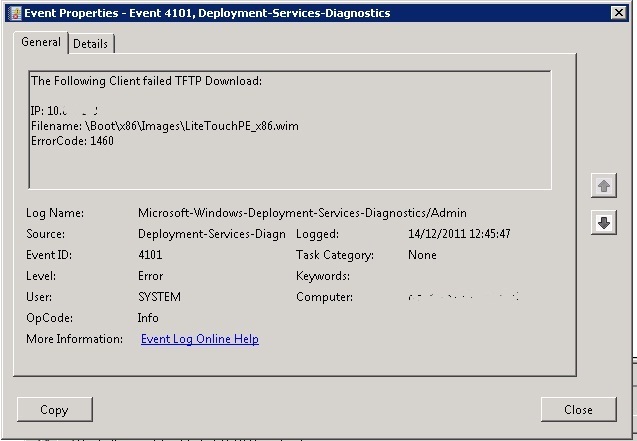 Reading around the subject suggested that replicating an MDT deployment share, needed to be set up as a standalone DFS root, rather than domain based. We set up a replication group in a hub and spoke topology, where the central server acted as the hub and the remote branches were the spokes. This would also be easily scalable if further branch deployment shares needed to be added in the future. The only problem with this method is the fact that there are hard coded references to the central deployment share in the bootstrap.ini file, which need to be changed in some way to be compatible with all the branch servers. We found 2 solutions to deal with this problem. The first was very simple and just involved making a simple change to the DeployRoot setting in the bootstrap.ini file. By changing this setting to use the variable %wdsserver% rather than the actual MDT/WDS server name the bootstrap.ini file will work with any wds server, providing the deployment share name is the same. The second method, is much more thorough, and uses the ‘DefaultGateway’ setting in the bootstrap.ini file, which enables you to specify the wds server name and deployment share location for each site. 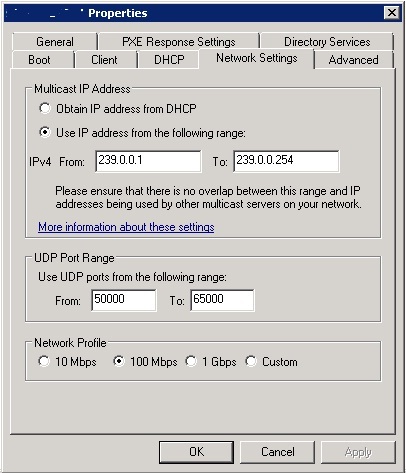 In this method when you PXE boot the client computer that you want to commission on to the network, the default gateway it is assigned by DHCP is used to determine its physical location. It is then pointed to the correct deployment share. So in conclusion, we opted for the use of a standalone DFS root to replicate the deployment share out to remote sites, in order to ensure that all content was always up to date at our branch sites. We then customised the bootstrap.ini file using the DefaultGateway setting, allowing us to set deployment share paths for each of our physical locations. 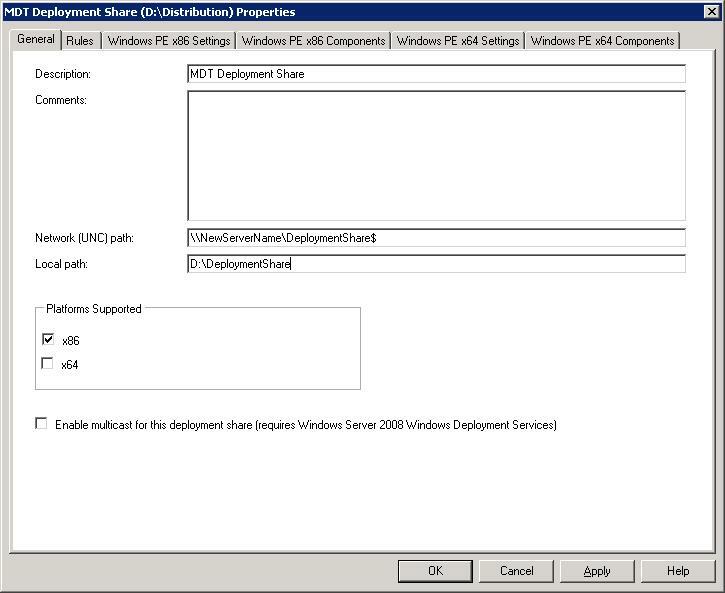 Once the deployment share was available at the branch offices we installed MDT 2010 and the Windows Deployment Services role on each of the local servers, and then added the newly replicated deployment share in the deployment workbench on each of the local servers.